Comfortable Bungalows in Kai Bae. 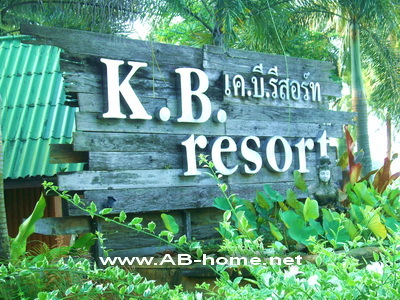 KB Resort has fan and aircon bungalows in Kai Bae Beach. The beautiful garden and the tropical beach of KB Koh Chang are like made for Thailand beach holidays and Asia island traveling. The sea front villas are perfect for family vacation and honeymoon on Ko Chang. The rooms of KB Resort Koh Chang have fan/air-condition, beautiful Asian furniture’s and a great view to the sea. From the restaurant you can see the colorful sunsets and the warm sea water of the Gulf of Thailand. These accommodations are rightly a leading bungalow park in Kai Bae. The friendly service and the closeness to the city make KB Resort on Kho Chan to a perfect hotel for Asia holidays in Thailand. KB Ko Chang will fit your requirements if you looking for cozy beach front bungalows for reasonable prices and good service. Here you can make reservations and bookings for Hotels in Ko Chang. I was a repeat customer: My wife, 2yr. old and I recently stayed in sea view #9 and my parents beach view #2. One night as we slept our room was robbed, we lost a camera and phone, a shame. But the greater tragedy was the resort did not voluntarily move us to another bungalow nor did they apologize for our inconvenience. Oh, did I mention our door was locked and there was a CCTV camera pointed directly at our porch but management saw nothing after reviewing the video but did blame us for drinking too much (which we didn’t). Stay anywhere else or your holiday could cost you more than you expect monetarily and in lost memories. Management is only concerned with taking your money not your security!